The University of Liverpool signed a three year agreement with National Museums Liverpool (NML), to further increase the institution’s engagement with city cultural organisations. 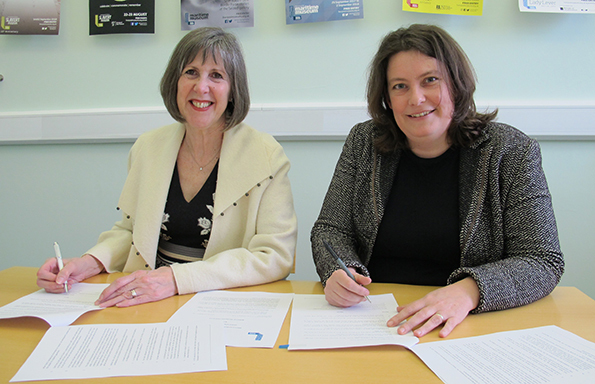 University VC, Professor Dame Janet Beer and Director of NML, Laura Pye, signed a Memorandum of Understanding (MoU) in the presence of senior University and museum colleagues. The MoU sets out a shared ambition to provide mutual support for the loan of artefacts and the exchange of knowledge; the implementation of research activities, public engagement and outreach; and help around increasing participation in higher education for under-represented groups. As part of the agreement, NML will provide advice and guidance to the University’s Heritage, Arts and Culture Committee, alongside general support for identified research themes, particularly heritage. 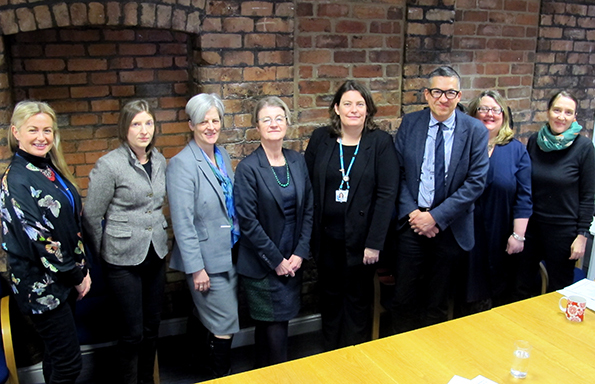 Continuing support for the University’s Centre for Study of International Slavery (CSIS) is also assured by the document – a key partnership considering NML’s world-renowned International Slavery Museum at Albert Dock. It provides for continuing support for other ongoing collaborations, including the Research Centre for 18th Century Worlds. It also makes particular reference to the promotion of staff exchange, including students at graduate and post-graduate level, and asks for the consideration of LiNK and Liverpool Doctoral Placements. The NML MoU continues a drive by the University to engage with city-based cultural institutions. The award-winning Tate partnership, which delivers exhibition space as part of Tate Exchange – as well as free entry to special exhibitions for staff and students – has drawn hundreds of visitors to University research showcases across the disciplines. The Department of Music runs a MA in the Business of Classical Music with the Royal Liverpool Philharmonic Orchestra, and is also collaborating with the organisation on development of the proposed Arts and Humanities Centre. The Faculty of Health and Life Sciences hosts regular family-friendly weekend events in partnership with World Museum. Its successful Meet the Scientists series was launched in 2015 and aims to engage the public with research in an informal and interactive way. While the Department of Philosophy and the School of Law and Social Justice have both placed academics in ‘in residence’ programmes at Bluecoat Arts Centre, Liverpool’s centre for the contemporary arts. The NML MoU was negotiated by the University’s Research Partnerships and Innovation team.